Recent studies focusing on the interspecific communicative interactions between humans and dogs show that owners use a special speech register when addressing their dog. This register, called pet-directed speech (PDS), has prosodic and syntactic features similar to that of infant-directed speech (IDS). While IDS prosody is known to vary according to the context of the communication with babies, we still know little about the way owners adjust acoustic and verbal PDS features according to the type of interaction with their dog. The aim of the study was therefore to explore whether the characteristics of women’s speech depend on the nature of interaction with their dog. We recorded 34 adult women interacting with their dog in four conditions: before a brief separation, after reuniting, during play and while giving commands. Our results show that before separation women used a low pitch, few modulations, high intensity variations and very few affective sentences. In contrast, the reunion interactions were characterized by a very high pitch, few imperatives and a high frequency of affectionate nicknames. During play, women used mainly questions and attention-getting devices. Finally when commanding, women mainly used imperatives as well as attention-getting devices. 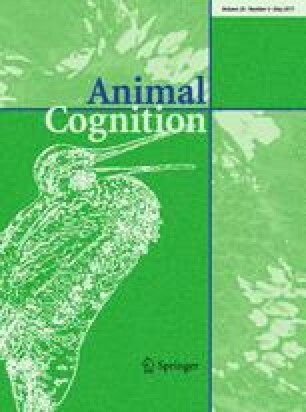 Thus, like mothers using IDS, female owners adapt the verbal as well as the non-verbal characteristics of their PDS to the nature of the interaction with their dog, suggesting that the intended function of these vocal utterances remains to provide dogs with information about their intentions and emotions. The authors are indebted to David Reby for his invaluable contribution to this article. We would like to thank Dr. S. Perrot (IRCA-ENVA) for providing access to the IRCA room and its facilities at the ENVA. Thanks to Marine Parker, Raphaëlle Bourrec, Raphaëlle Tigeot and Justine Guillaumont for their participation in these experiments, as well as for the pilot experiment. Thanks to Mathieu Amy for help in statistical analyses. Thanks to the CHUVA (ENVA) for help with the recruitment of owners. Thanks to owners who accepted to take part to this study. All procedures performed in studies involving human participants were in accordance with the ethical standards of the institutional and/or national research committee and with the 1964 Helsinki Declaration and its later amendments or comparable ethical standards. All applicable international, national and/or institutional guidelines for the care and use of animals were followed and “all procedures performed in studies involving animals were in accordance with the ethical standards of the institution at which the study was conducted”. The study received the approval of the ethical committee of ENVA (COMERC), no. 2015-03-11.